Well, today New Orleans suffered another setback. The police officers accused of killing 2 men on a bridge in the days after Katrina will be able to post bail. While the article did not mention the amount of the bail, the fact that the indicted suspects will even be allowed to post bail on such serious charges is ridiculous. Four of the seven officers are facing the death sentence through first-degree murder charges. How many black cop-killers have been offered bail in a murder case? Yet these police officers are given the benefit of the doubt because of one thing: a shiny badge. The mentally-challenged man they killed was shot 7 times - 5 times in the back, and no gun was found on his person or near him. 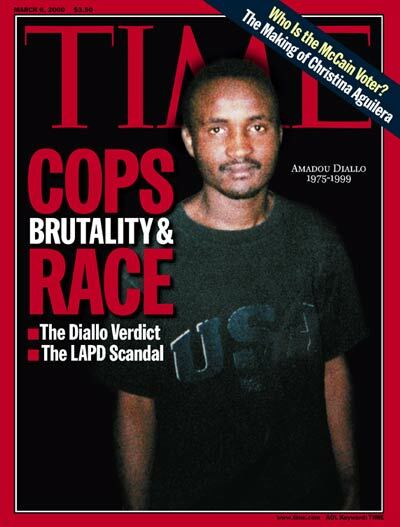 This brings flashbacks of Amadou Diallo in New York and the trigger-happy police behind the crime. 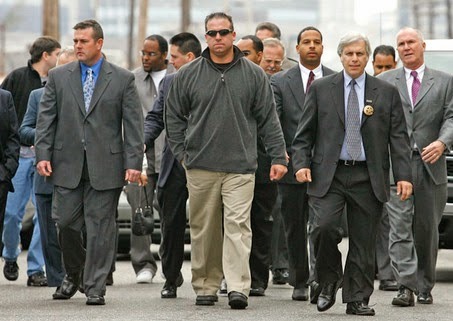 Let's not forget that those cops walked from their charges. With the availability of bail for these officers, the judge is sending the future jury of this case a message that they are not violent and should not be held in jail like their civilian counterparts. At the end of the day, cops are people too and are susceptible to the same evils that we are, and should be subject to the same treatment as regular people in the justice system. While the officers should be commended for staying in the city following Katrina when many of their brethren cut and run, that does not give them the right to murder at will. These officers need to be treated just as everyone else in the justice system. A badge does not exempt you from wrongdoing and it's time that we held the police in this country to the same standard we do everyone else. nice post, we should link blogs, that'd be cute!